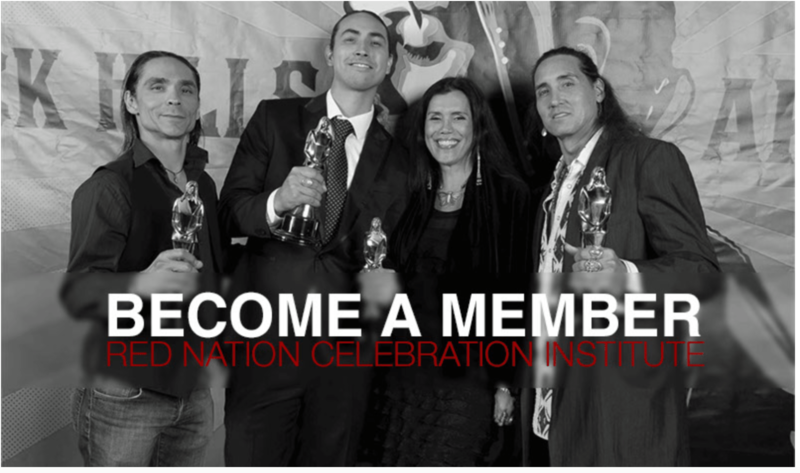 Red Nation Celebration Institute – Rooted In Indian Country focused on the entertainment industry, the most prestigious trailblazing organization in New Mexico. Los Angeles. Globally. 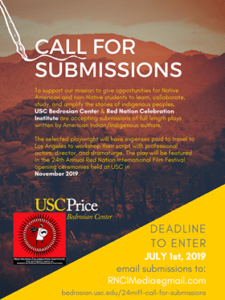 This year’s 22nd Red Nation Celebration Institute presents 14th Red Nation Film Festival ‘On the Road’ Tour The Authentic Voice of American Indian & Indigenous Cinema — Santa Fe’ leading NATIVE film festival — held during the largest gathering of Native Artists in Santa Fe NM. 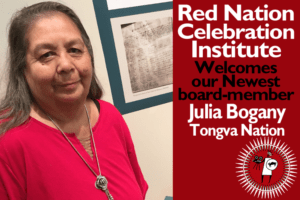 Kicks off Tuesday, August 15, as we take a look back at Red Nation Celebration Institute’s two-decade+ LEGACY and the founder’s mission. Partners Red Nation Television Network, Hotel Santa Fe, ZOHI Gallery, Jean Cocteau Cinema, Picuris Pueblo, Inn of the Mountain Gods, Honest Engine Films, One Bowl Productions, Plaza Cafe, Storm Studio, Black Mesa Equine Services, Undisputed Fitness, Cowgirl BBQ. Media Support Santa Fe/Official Travel Site. GET IT ALL with VIP Pass! 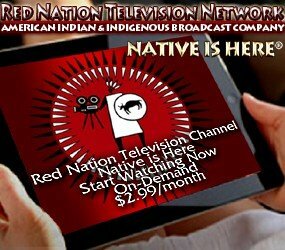 All proceeds benefit Native Film Labs Native Youth Matter programs & RNCI Initiatives.